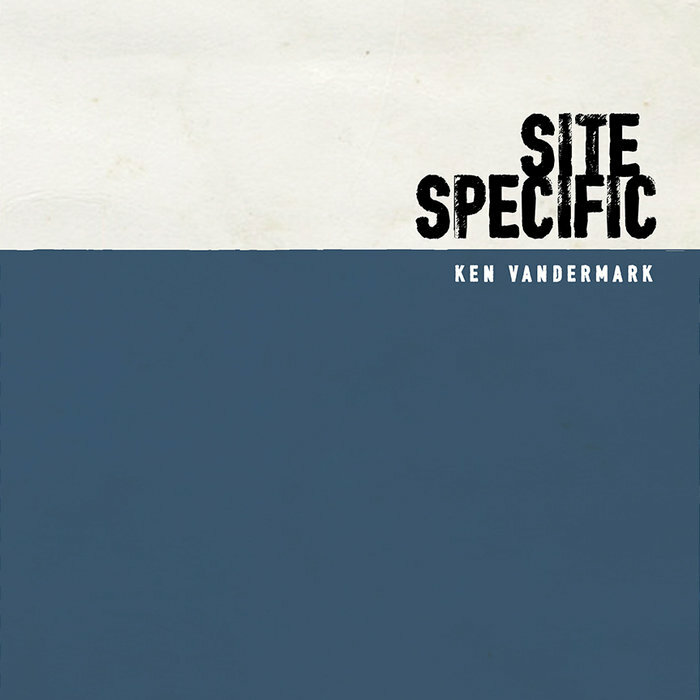 Site Specific is a neat entry in the Ken Vandermark oeuvre: a minimalistic, beautifully bound book packed with two CDs capturing live solo field performances in '14 and '15, showcasing Vandermark's photographs taken as he has toured the world. It's not a travelogue or tour documentary, it doesn't capture people, or landscapes, rather it's images of very specific objects at sites arranged suite like. Time and place take a back seat to imagery, textures and emerging themes. For example, an image from Wormer in 2014 with prominent san-serif lettering is placed on a facing page with an image from Omaha (also from 2014) also with the bold lettering but now getting more textual, which becomes the stronger theme in the image from Chicago with raised block letters on the next page. The images are appealing as the attention to the colors, shapes, and framing is quite intriguing. 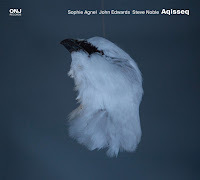 The whole project is about the environment - not in the green sense but in the where you are now sense, and the four sets of recordings that make up these two discs are recorded in different places, in the field, with the sound of the instruments intimately linked to nearby objects and features. 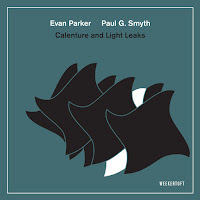 Throughout the tracks, Vandermark switches between clarinet, tenor, and baritone sax. 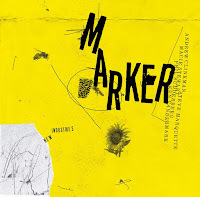 Music-wise, the first set begins with a knotty muscular theme that teeters on the edge of rambunctious for the duration. You can hear the implied rhythm section, feel the pulse, and may even be tempted to try to nod along. 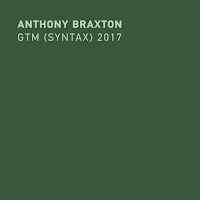 The first sequence of tracks are spacious and light, but much like the images, the sequence builds from track to track, and by the seventh, the music has developed into dense and elliptical patterns that seem like burlap sheets of sound. Track eight inverses the dynamic, instead of the low rumble, Vandermark works the high register. The second set begins with a warmer sound - recorded under a train trestle in Louisville, Kentucky. The final most extreme environment is on Disc two, beginning with track six, with a series called "Pipe", recorded at a Louisville, Kentucky Skate Park (I assume in, around, or quite near a half-pipe). 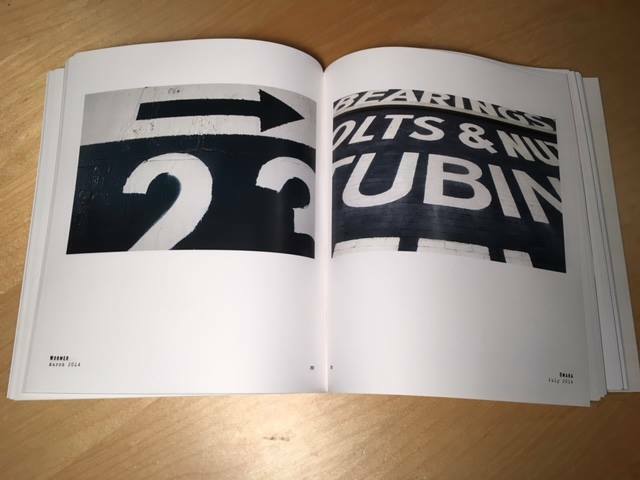 Site Specific is a coffee table book that physically fits a small coffee table but really fills up a lot of aesthetic space. 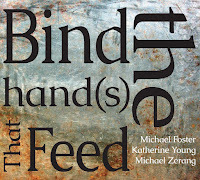 The photography is worth a purposeful viewing as you listen to the accompanying sounds.